Despite the assistance provided by electronic control systems, the latest generation of passenger car chassis still relies heavily on conventional chassis elements. This book examines these conventional elements and their interactions with mechatronic systems within the context of driving dynamics. 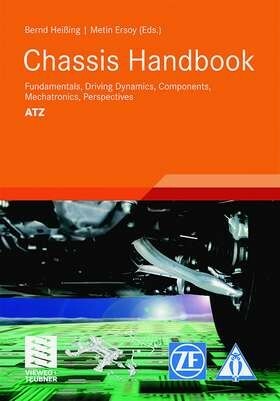 Chassis fundamentals and design are described in the initial chapters, followed by a practical examination of driving dynamics and detailed descriptions and explanations of modern chassis components. A separate section is devoted to axles and the processes used during axle development. This first English edition features a number of improvements over the latest German edition, including revised illustrations and several updates in the text and list of references.